Casting Crown's Thrive album in audio CD format iIncludes the songs: Thrive, All You've Ever Wanted, Just Be Held, You Are the Only One, Broken Together, Love You With the Truth, This Is Now, Dream For You, Follow Me, Heroes, House of Their Dreams, Waiting on the Night to Fall. 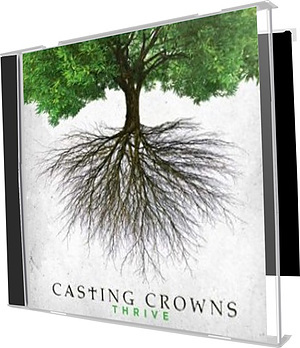 Thrive CD by Casting Crowns was published by Authentic in January 2014 and is our 3688th best seller. The ISBN for Thrive CD is 602341018425. Be the first to review Thrive CD! Got a question? No problem! Just click here to ask us about Thrive CD. "Hard times are going to come, but God didn't put you here just so you could survive through hard times. He put you here to thrive, to dig in and to reach out." - Mark Hall on Thrive. Now Playing: Thrive Your browser does not support the audio element.